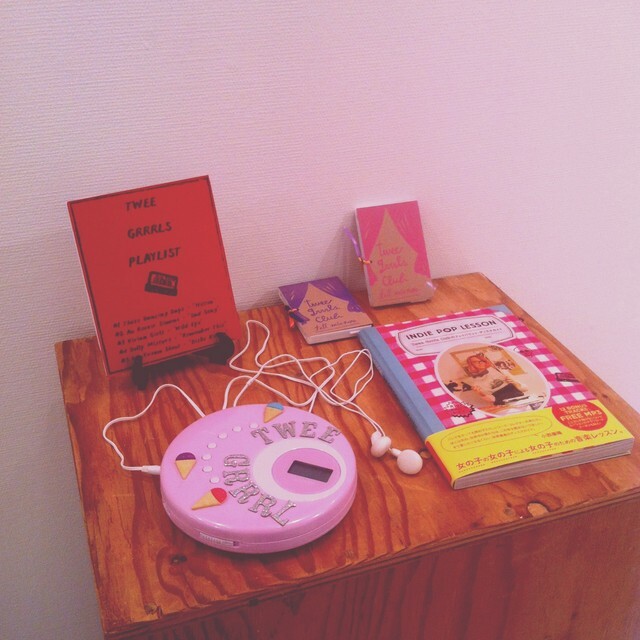 For any indie/twee pop fans out there in the Tokyo area, this exhibition by local fanzine/DJ collective Twee Grrrls Club could be well worth checking out. Anyone familiar with group figurehead Sumire Taya’s Shibuya boutique Violet & Claire, or indeed any of the Twee Grrrls’ numerous events and parties, will be familiar with the sorts of crafts on display, although if you want to check out more, the Grrrls have info on the exhibition posted up on their blog as well as some photos of the kinds of artworks and nicknacks they have on display. The exhibition also acts as a sort of companion to the collective’s typically adorable looking new Indie Pop Lesson book, released last December, it should provide a fascinating introduction to this particular side of Tokyo DiY indie culture, encompassing music, art, writing and all manner of homemade miscellany.